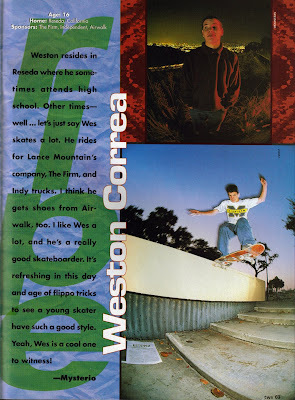 90's wunderkind who really seemed to be on the fast track 'til a knee injury sidelined him for a minute, Weston Correa (3:17). 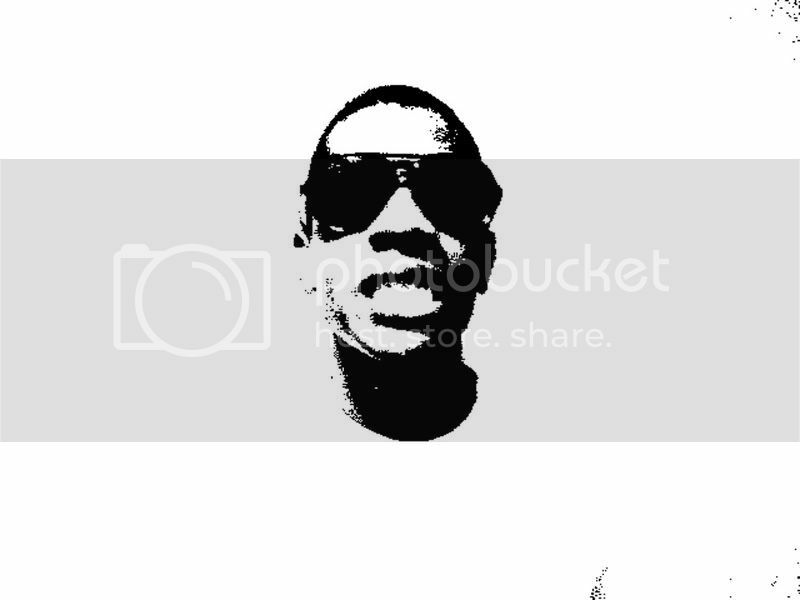 big up to seb over at a visual sound and my man van styles. I almost confused Weston with Anthony Correa. I always liked the firm. They had good riders, dope ads, and I liked the little video spots they had in 411. 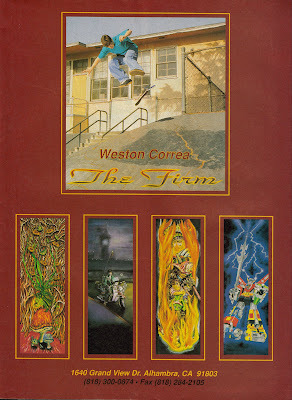 Weston Correa was an amazing skateboarder from the footage I seen of him in the initial 411's. I always wondered what happened. I liked that other Firm am better... James Qua. Wow.. that video clip. The Gruber brothers! And more Pat Brennan! I swear chops only did this post because he wanted more Pat Brennan on cbi. 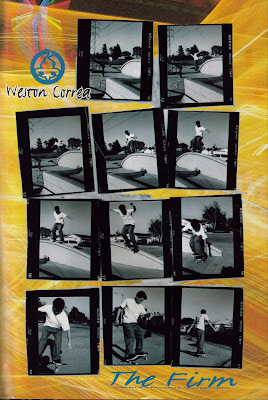 Weston Correa had that video part with a Buffalo Tom song iirc. 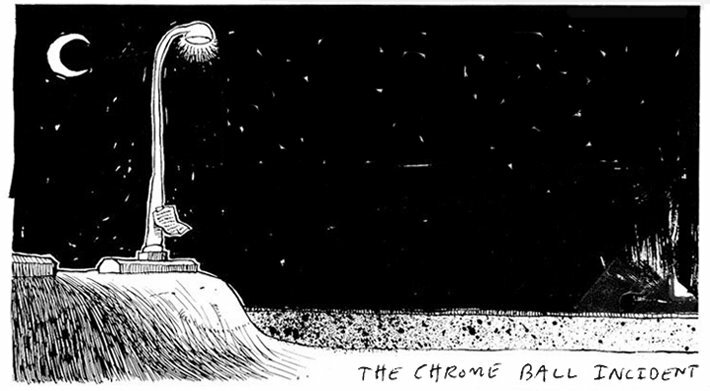 He's got a bread and butter type style. Nothing special. Does lots of good tricks but it's not memorable imo. thanks for this post. weston was so good back in the day. aaah, you did it ! thanks, well deserved for the dude. Eric Ricks next? or some east coastal legend stuff? 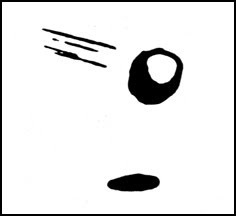 Mike kepper? jeremy henderson? Sick post. 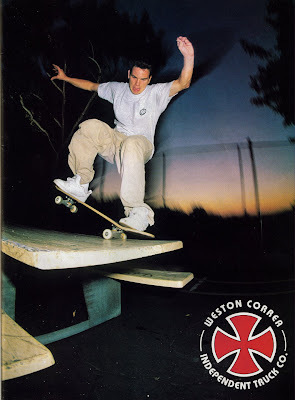 Weston had a really good style, too bad you never got to see too much of him.